Those Windows 10 Mobile users subscribed to the fast ring are now getting access to preview build 15223. 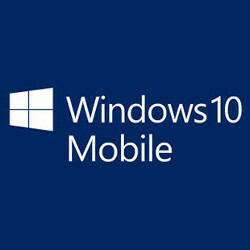 Fast ring members get first crack at a new Windows 10 Mobile build, but because this software is not thoroughly tested, there are often some kinks and bugs. That is the price that must be paid for being first to install the latest version of Windows 10 Mobile. Those opting for the slow ring get a more refined and tested build, but they have to wait for the software to be ready for prime time before installing it. Based on Insider feedback, we have changed "Phone Update" to "Windows Update" under Settings > Update & security. OK., so this isn't the most exciting Windows 10 Mobile update ever disseminated. Still, as long as Microsoft continues to support the software, you never know when some noteworthy changes might appear. At least MS is pushing out updates, cannot say that to other brands!